One of my favorite “mom-treats” are cranberry orange scones from Starbucks. Once a week, I drive through and treat myself to an iced coffee and a cranberry scone. Since I already make so many scones at home, like my Almond Flour Scones made with blueberries and even my pumpkin scones, I decided to try my hand at homemade cranberry orange scones next! 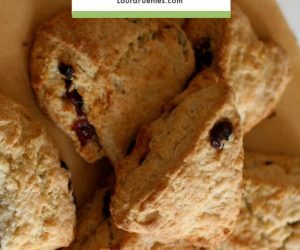 One day, I realized that I could make my own… and this was one recipe I didn’t mind testing since I love scones. Most scone mixes and recipes require butter -not this one. 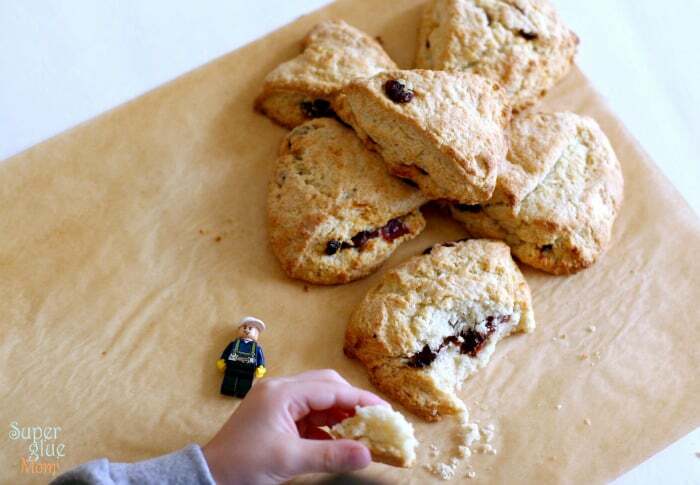 I’m not saying it’s a “low-fat” scone, all I’m saying is that you won’t have to cut the butter into tiny little cubes, use a special tool to mix the scones… you know what I mean. *Note: the scones in the front are chocolate chip scones. Same recipe, omit all things cranberry and substitute with 1/2 cup chocolate chips. This recipe is a one bowl-wonder, easy to make and it has that same cranberry paste filling I’ve come to love. You didn’t think I was going to forget about that yummy cranberry filling, right? Oh no. I often wish the ones from Starbucks had more. 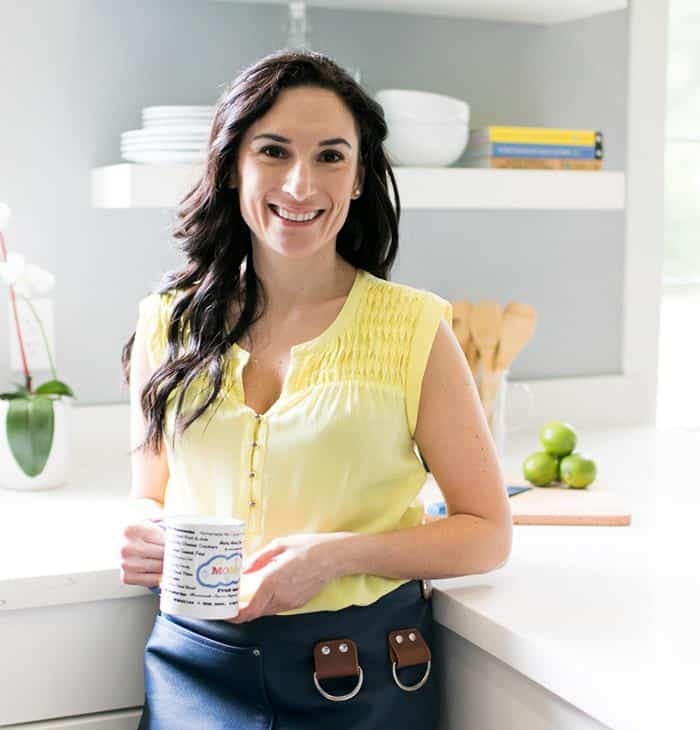 It takes a lot of caffeine to power up this mom. 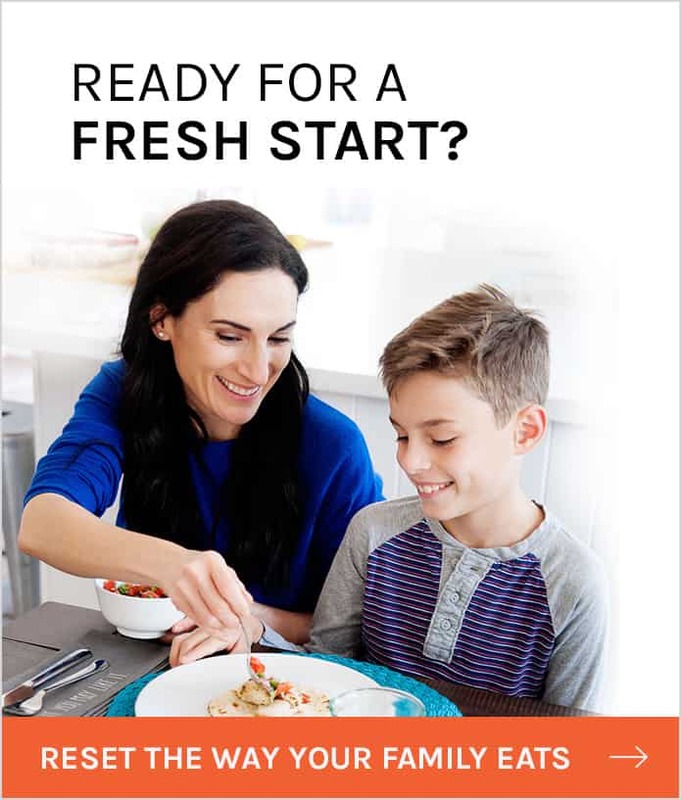 Just ask my husband. I once tried to give up caffeine a couple of years back and that was not a good idea -for any of us. Monday is the busiest day of the week for us. 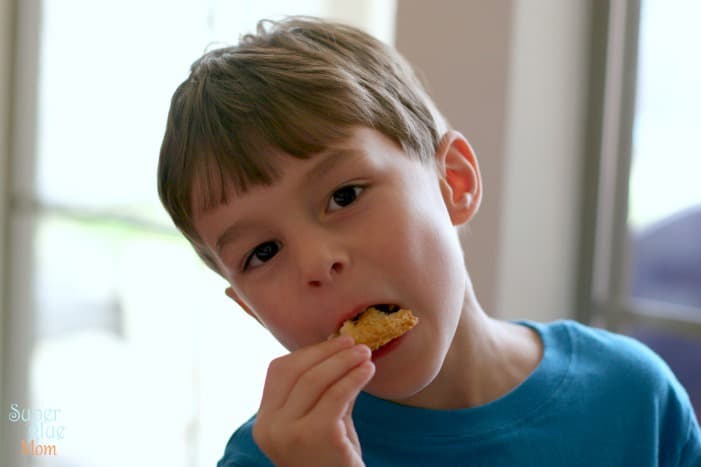 The “big ones” get picked up from school at 2:45pm, we come home to change clothes, eat a snack, pick up Gabriel from school, and head out to our after-school activities. First up: Sofia. She gets dropped off at ballet and Alex and I have a good thirty minutes until he needs to be dropped off at gymnastics. This is when the drive-through routine happens. While Alex is at gymnastics Sofia gets picked up from ballet and is dropped off at piano lessons. While she’s at piano, I pick up Alex and head back to get her with just a few minutes to spare. By this time, it’s now 5:35pm and this family is worn out! Ok, not this mamma. I got my 3pm caffeine fix! 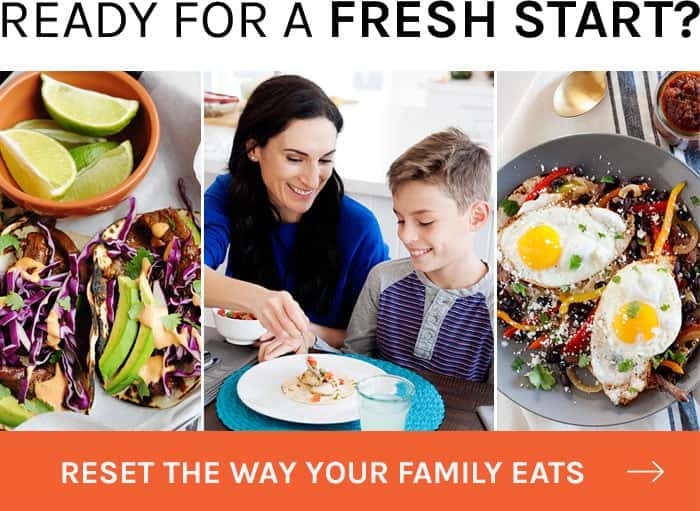 That afternoon pick-me-up is just what I need to get through the afternoon activities, get home with the 3 kids, help with homework, make dinner and get baths done. 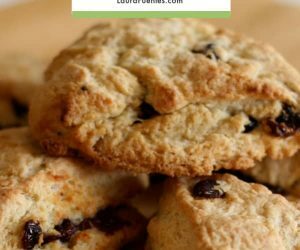 One reason I love this scone recipe is that I can take a single scone out of the freezer and pop it in the oven while I am getting dressed and I prep that Monday night easy dinner. I highly advise that you double or triple the recipe and keep the scones in the freezer for when you need them. Do I use a scone baking pan? Not always. 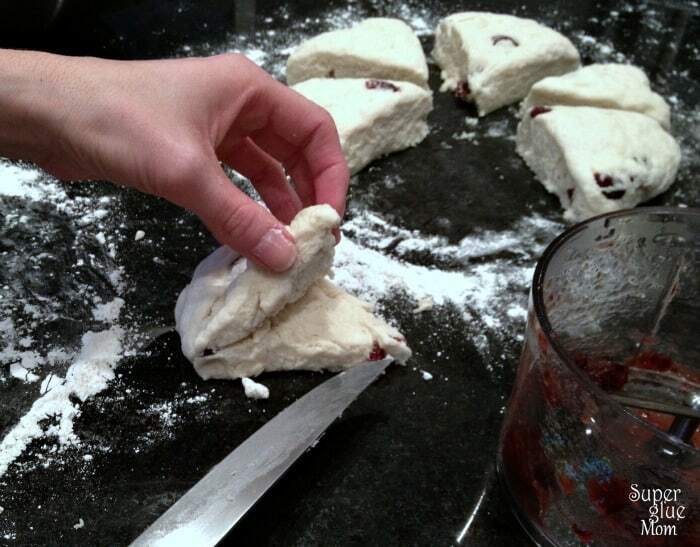 I prefer my scone dough to be hand-pliable… but sometimes I have to use my scone pan when I’m testing new recipes. I should mention that I’ve added a light glaze to the recipe directions even though I didn’t have a chance to photograph mine with it. 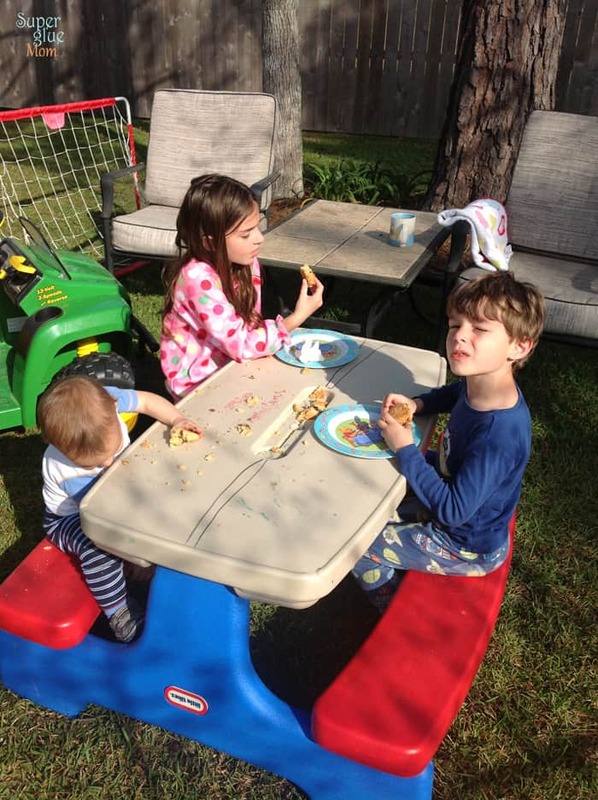 The kids were anxious to eat the scones and take breakfast outside. 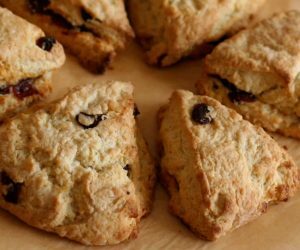 These Cranberry Orange Scones bring together all the best Fall flavors in a delicious breakfast recipe. Make these ahead and freeze them for a tasty morning treat! 3/4 cup cold butter, cubed -or coconut oil. In a large bowl, whisk together flour, 1/3 cup sugar, baking powder, baking soda and salt. Add butter cubes or coconut oil and mix in with your hands until dough becomes coarse crumbs. Stir in buttermilk (or substitute) until just moistened. Mix and fold in 1 cup dried cranberries and 2 teaspoons orange zest. 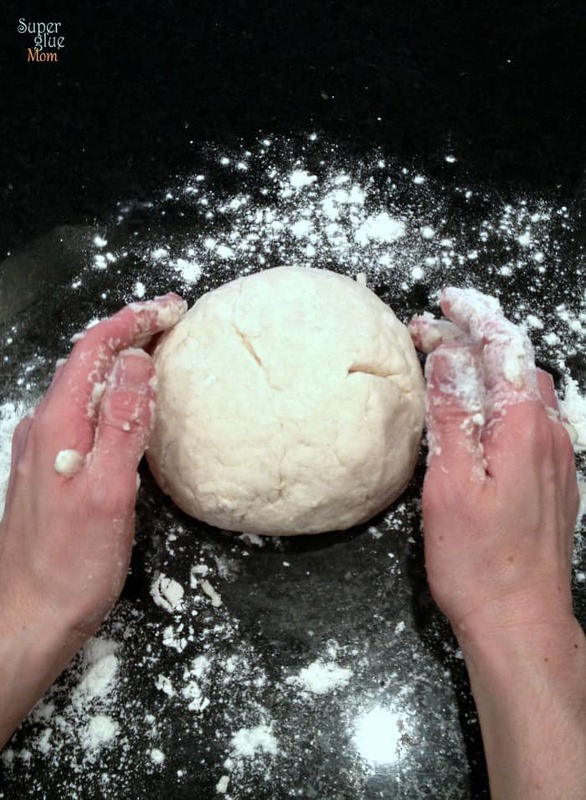 Divide dough in half and gently form each half into a 7″ circle (about 1” high). 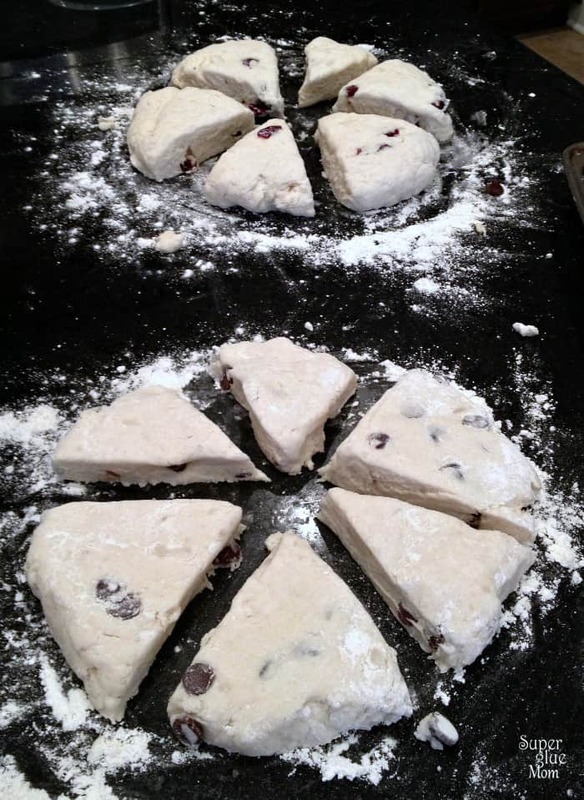 Using a sharp knife, cut each circle into six even pieces. Separate. In a small food processor or blender, mix remaining ½ cup dried cranberries, 1/2 teaspoon orange zest, 1 Tablespoon hot water and 1-2 teaspoons maple syrup. Blend until a rough paste forms (you want some cranberry remnants). 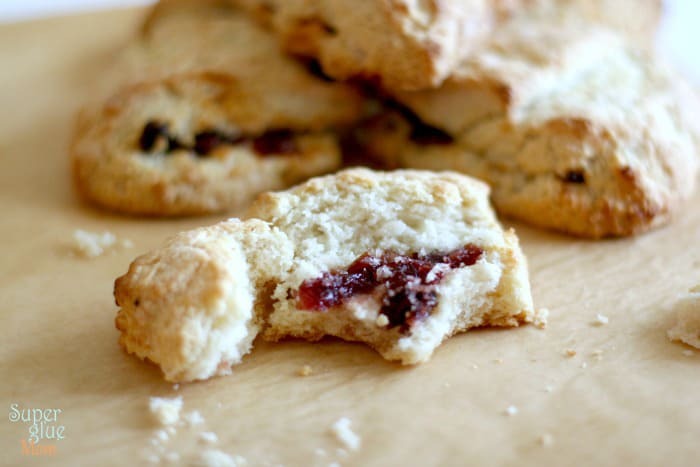 Using a sharp knife, slice scones through the middle –beginning at the tip stopping ¾ way back. Spread about a teaspoon of cranberry paste and sandwich it closed. Repeat with remaining scones. Sprinkle remaining 2 tablespoons of sugar over the scones (optional). 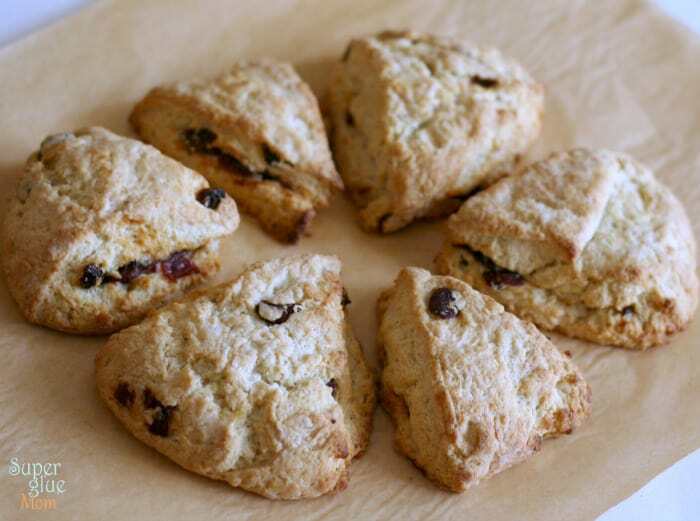 Place scones onto the lined baking pan and bake for 10-13 minutes or, until tops are lightly browned. Don’t want to make 12 scones? 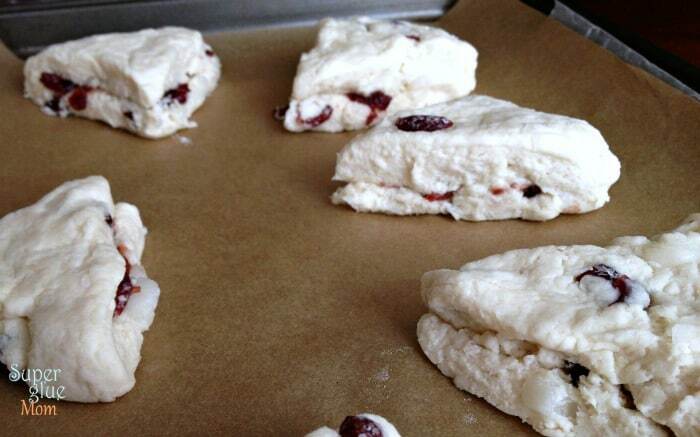 Freeze unbaked scones on a cookie sheet for 2hours and transfer to freezer bag and store for up to 2months. When ready to bake, preheat oven, pull from freezer and add 3-5minutes of cooking time. So, after my successful first try at this recipe I decided to make them again. They are right now out if the oven and cooling down. I can’t wait to eat them! I did come across one of the reviews about folding in the filling instead of cutting the triangles and then filling. (One has to be quick using this method or else the dough which has butter starts to warm up and makes it a bit challenging). I used the cinnamon roll method. I divide the dough into two equal halves. Each half I shaped into a 14″ rectangle. I applied the filling and folded. I cut 3″ pieces bringing the total count to 10. They do look like the Starbucks ones that you see in their glass display. Next time I might do 2″ pieces and get 12. I thought about it during this batch but they looked too small! Lol! Again, I followed the recipe proportions – all thanks and credits to Laura the author. I did find at my local Giant – Cooking and Baking Cranberries. They are “new” from Paradise Meadow and come in two versions; Julienne Cranberry-Orange and the other just plain Cranberry. 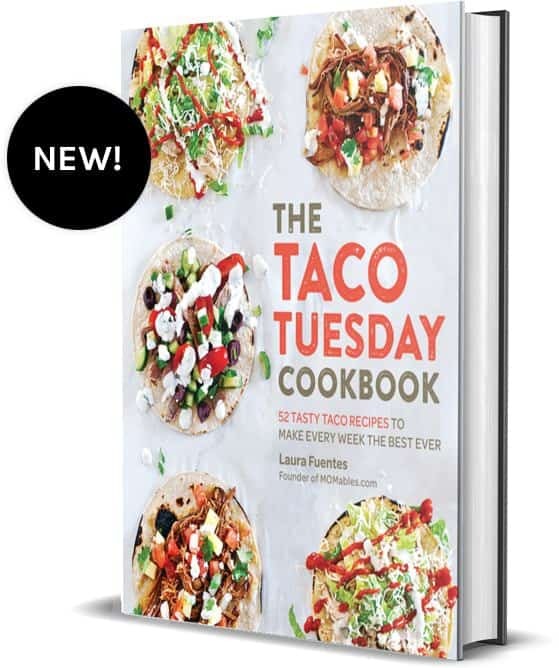 I didn’t care for the recipe on the package as I am already a fan of Laura’s Starbucks recipe. Why change something that you have made and tasted!. 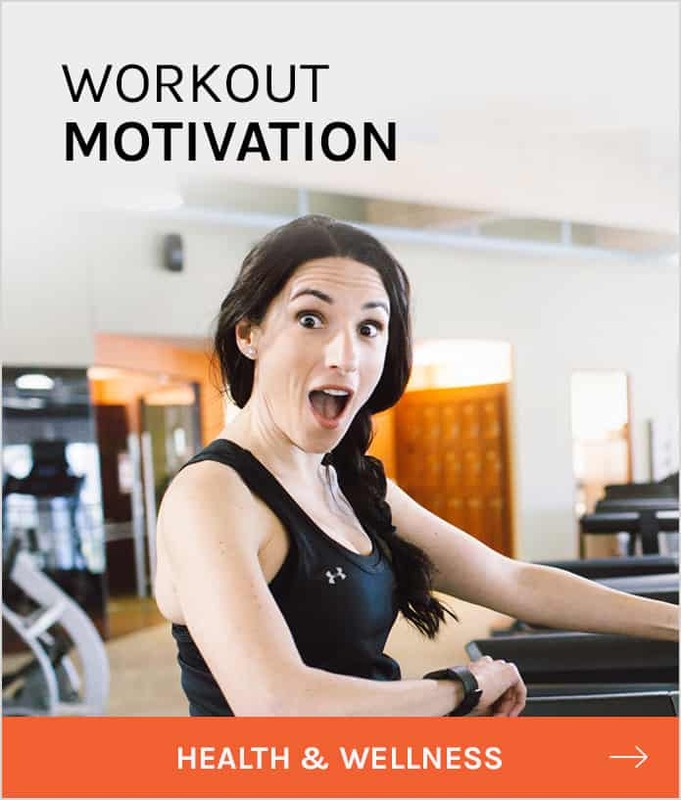 I am so glad these were so great for you! Thank you for trying my recipe once, making them again, and leaving valuable feedback for others. How much of a difference would there be if I was to use milk instead of buttermilk? 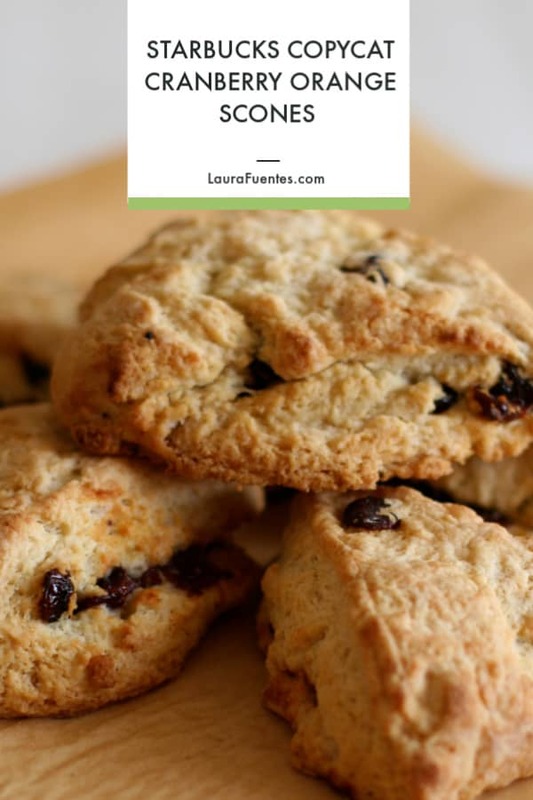 I am getting ready to try these and I am sooooo excited, specially now that my absolute favorite scones have been discontinued from Starbucks. You can totally use regular milk + 1/2 teaspoon of apple cider vinegar (optional but helps). Enjoy! Loved this recipe! Most recipes called for heavy cream and I didn’t have any, so I substituted milk and lemon to make buttermilk. It’s not too sweet so as to be enjoyed with some jam of one liked. I enjoyed making this. I’m thrilled you enjoyed these Maggie! Made these for a women’s bunch today. They were a hit. I did not use maple syrup, used 1/2 and 1/2 instead of milk and substituted about a quarter of the white sugar with dark brown. Yum! I am taking some tonight to church choir for someone who wanted more for her family. I’m so glad you enjoyed these, Shirley!